Forefoot striking appears to reduce the frequency of lower extremity injuries due to increased muscle action upon landing. Running outside vs a treadmill at the same pace, the outside runner will burn more calories due air resistance. The average man has enough energy stored in his fat to run continuously for 3 days. Runners come in all ages, the oldest marathon finisher is 101 years old and the youngest has completed 48 marathons before his 5th birthday. If you suffer an injury from running, seek the advice and treatment from a Physical Therapist. People of all ages enjoy running. This popular cardiovascular exercise not only improves health, it can reduce stress, make you more confident, and even help overcome depression. If you watch people run, you’ll notice different forms that runners use when they are “on a run.” Healthcare professionals are often asked, “What is the best or perfect form to use when running?” There might not be a perfect answer, but there are several factors to consider prior to helping someone choose a particular running form. How fast do I want or need to run? What distance do I want to complete when I run? The answers to these questions help to determine how the patient will stride and land. Shorter races or runs and faster speeds require a faster step rate, aggressive arm swing, higher leg lift and land on the forefoot. Long distance running requires more efficiency in the running form to preserve energy, so the runner has fewer strides, less aggressive arm swing, lower leg swing and lands almost anywhere on the foot (research supports landing on the mid to forefoot to avoid lower extremities injuries). Regardless of the distance to be covered, the proper running form should have a balanced, controlled landing, and step rate that correlates optimally for the distance to be covered, and enough core and lower extremity strength to propel the body forward and avoid an injury. When assessing someone’s running gait or form the healthcare professional will look at 6 key body areas. Injuries do occur and “runners” are always anxious to return to running as soon as possible. If you have a running injury, seek the advice and treatment from a Physical Therapist that specializes in the treatment of orthopaedic injuries. 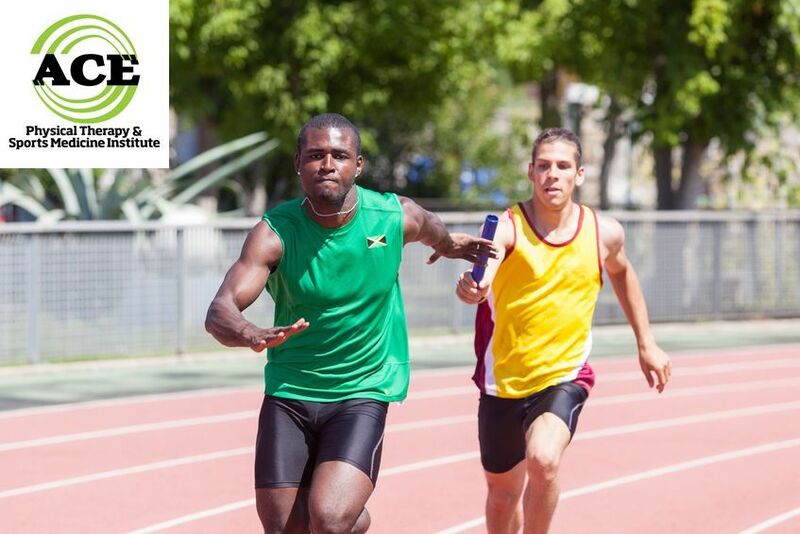 These licensed healthcare professionals can help to treat the injury and correct or change the injured person’s running form. These visits can take place without seeing a doctor, but it would be a good idea to see if the insurance policy requires that a referral from their general practitioner before going to a Physical Therapist. There is no perfect form for most runners, but there are several key areas of the body to assess and questions that need to be answered prior to making a decision as to how to have someone run. Being efficient and using the proper form can make the run more enjoyable and help to prevent an injury.